Top Shooters of India on Femina Magazine Cover. Indian Junior Shooting Team at Gabala Azerbaijan. NRAI, Apr,23 2019 : As per the Selection Policy 2019, it is mandatory for the Juniors/Youth shooters to undergo age verification test. We are enclosing herewith Athlete Profile Form, Consent Form and Protocol of the X-Ray along with a sample of X-Ray in connection with the above test. The draft copy of the Certificate for Radiology Test is also enclosed herewith which should be signed and stamped by the accreditated doctor/center performing the test. NRAI,NEW DELHI, Apr,16 2019 : The provisional ranking arrived after Trial 2&3, which concluded on 11 Feb 2019, are published for the information of Shooters. Shooters are requested to check scores/merit points carefully. Please inform us in case any discrepancy is observed so that rankings are corrected. NRAI,NEW DELHI, Apr,10 2019 : The Supreme Court of India has upheld the notification dated 15th July 2016 issued by Ministry of Home on exempting air weapons from the ambit of Arms Act. Copy of the Judgment is attached herewith. 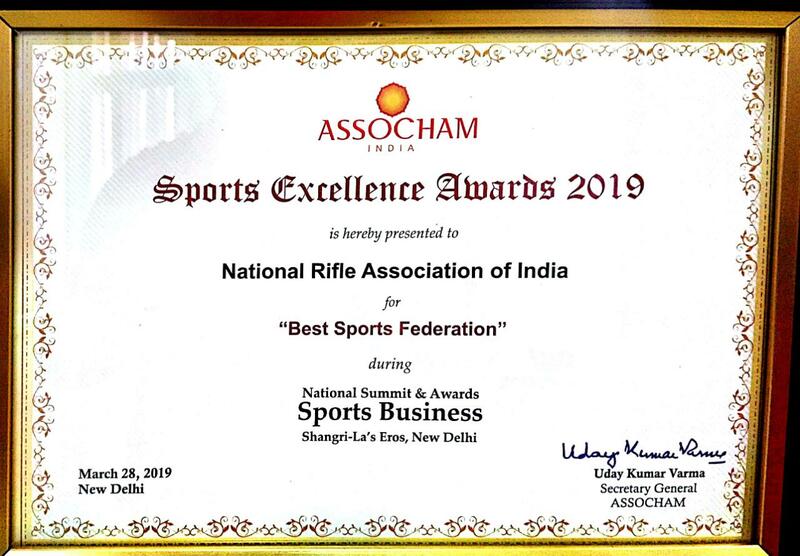 NRAI,NEW DELHI, Mar,28 2019 : National Rifle Association of India has been awarded “BEST SPORTS FEDERATION” Award by ASSOCHAM (Associated Chambers of Commerce & Industry of India). NRAI, Mar,23 2019 : The candidates as per attachment have been selected by GNSPF for ISSF Jury/Judges “B” Course at Pune. Individual candidate is being sent email directly by GNSPF. NRAI,NEW DELHI, Mar,14 2019 : The Indian Olympic A http:// ssociation has initiated the process of creating new software for Athletes Database (Olympians and medallists in Asian Games and Commonwealth Games). Accurate information is required to extend support to elite athletes and for validation of records as necessitated, which are our important functions as a governance organisation. XXVIII ALL INDIA G V MAVLANKAR SHOOTING CHAMPIONSHIP (BIG BORE EVENTS), MHOW, M.P. NRAI, Mar,11 2019 : The 28th AIGVMSC and 62nd NSCC in Big Bore events will be held at Infantry School Mhow from 15th to 29th April 2019 as per details attached. The detailed circulars will be published shortly. NRAI,NEW DELHI, Mar,10 2019 : The provisional ranking arrived after Trial 3&4, which concluded on 10 March 2019, are published for the information of Shooters. Shooters are requested to check scores/merit points carefully. The results of remaining events will be published shortly. Please inform us in case any discrepancy is observed so that rankings are corrected. NRAI,NEW DELHI, Mar,08 2019 : The NRAI Match Book 2018 (Amended) is attached herewith. It was approved by the Governing Body in its meeting held on 10th December 2018. The matches for Veterans are included in all events. Finals in all Olympic Events for Veteran Matches will also be conducted, if the number of qualified participants exceeds the number of finalists, as defined under ISSF Rules. NRAI, Mar,05 2019 : It is observed that applications are being sent through email to NRAI for above courses. No email applications are acceptable. Send your applications along with required documents & course fee to the Organizers of these courses as per address given stated in respective Circulars. Applications sent to NRAI through email or otherwise are invalid. NRAI,NEW DELHI, Mar,04 2019 : This has reference to our circular of even number dated 28th February 2019. Our circular dated 4th Mar h 2019 supersede our circular dated 28th March 2019. NRAI,NEW DELHI, Mar,04 2019 : It has been decided to conduct the ISSF Academy D-Course for Coaches in Rifle, Pistol Shotgun from 25th April 2019 to 28th April 2019. NRAI,NEW DELHI, Mar,04 2019 : The Governing Body in its meeting held on 10th December 2018 has revised the admission fee, affiliation fee/membership card, Life Membership and Annual Membership Fee. These fees are applicable with immediate effect. Selection Trial 3 & 4 for Rifle/Pistol events at Dr. Karni Singh Shooting Ranges, New Delhi for (Junior Men and Junior Women) from 15th to 25th April 2019. 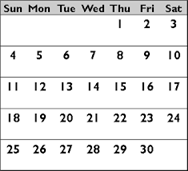 NRAI,NEW DELHI, Mar,01 2019 : On the request of junior shooters, the selection trials 3 & 4 scheduled in March 2019 for junior events were postponed. These trials will now be conducted at Dr. Karni Singh Shooting Ranges, New Delhi as per the program attached. NRAI,NEW DELHI, Mar,01 2019 : The Selection Committee of NRAI has selected shooters as per attachments for the National Squad 2019. NRAI,NEW DELHI, Feb,08 2019 : It has come to our notice that some shooters, who did not achieve the qualifying scores as per Selection Policy 2019 have sent their entries for the participation in 50th Grand Prix of Liberation Plzen 2019. 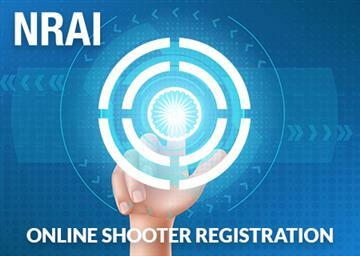 Shooters are advised, not to send the direct entries and all entries must be sent to NRAI for consideration and onward submission to the Organisers. Violation of the directive will attract Disciplinary Action by the Governing Body of NRAI. This applies to all International Competitions which are covered under Selection Policy of NRAI. NRAI, Feb,03 2019 : The Selection Committee of NRAI has selected shooters as per attachments for the National Squad 2019. The youth shooters have been selected on the basis of their age as defined in Selection Policy. NRAI,NEW DELHI, Dec,22 2018 : The Governing Body of NRAI in its meeting held on 10th December 2018 has emphasized the need of adoption and implementation of National Code against Age Fraud by its affiliates. In this connection, we draw your kind attention to our website post dated 20th May 2015 wherein guidelines issued by Ministry of Youth Affairs and Sports and Sports Authority of India (SAI) were uploaded. NRAI, Dec,20 2018 : The Governing Body of NRAI has accorded it’s approval on 19 December 2018 for the Criteria for Selection of teams Selection for Tokyo Olympic Games Team Selection. Copy of the same is attached herewith for your ready reference. NRAI,NEW DELHI, Dec,11 2018 : It is observed that there are many shooters who have not uploaded copies of their passports. All the Shooters are requested to upload the copies of their passport or bring the same at the Shooting venue during the Selection Trials. NRAI, Oct,16 2018 : The Election Commission of India vide its letter attached has exempted members of the National Rifle Association of India from depositing their weapons in States where Assembly elections are taking place. NRAI, Aug,20 2018 : The revised MQS under rule 17.6 are attached herewith. As notified on 13th November 2017, these MQS will be applicable from 62nd NSCC. Participation in 62nd NSCC is subject to achieving these MQS. a. The Rifle must have Match Trigger. b. The Rifle must have minimum barrel length of 24 inches (610 mm) without extension piece. d. The Rifle must have adjustable target stock or Target System stock. e. The Rifle must be single shot (Rigid single shot action with no provision for magazine). NRAI Delhi, Jul,22 2016 : The Ministry of Home Affairs has notified Arms Rules vide notification no. GSR 701 (E) dated 15th July 2016. Proposed amendments in "Arms Rules"
Delhi, May,03 2015 : The Ministry of Home Affairs has circulated draft Arm rules and has invited suggestions/objections on the same. Members/Shooters are requested to send their opinion on the same for onward submission to Ministry of Home. The latest provisional score of Rifle/Pistol Events are attached herewith.